The 73-year-old Hollywood actor Robert De Niro went after President Trump, saying, “f*** Trump” multiple times. He got a standing ovation at the Tony Awards ceremony on Sunday. “I’m gonna say one thing. F— Trump,” De Niro said, double fists raised and without any preamble. “It’s no longer ‘down with Trump.’ It’s ‘f— Trump.’” He then pumped both fists, Jake LaMotta-style. President Trump was busy in the meantime solving one of the biggest problems in the world but as soon as he got back he decided to respond to De Niro. “Robert De Niro, a very Low IQ individual, has received to many shots to the head by real boxers in movies,” Trump tweeted Tuesday. But it seems that De Niro isn’t getting more fans after his rude comment! 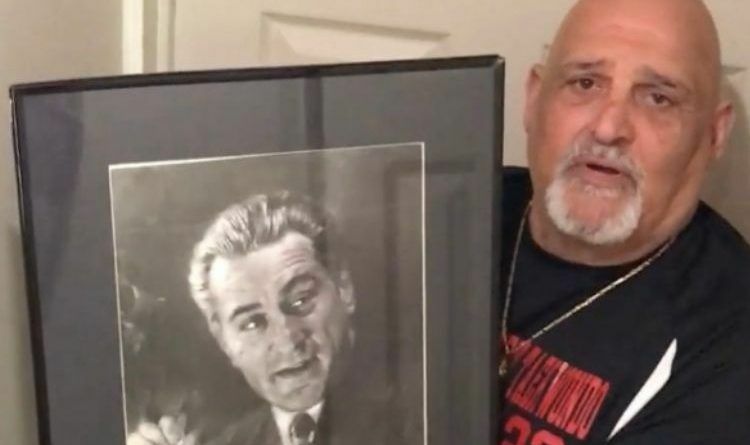 Marine veteran Joseph DeVito destroyed a poster of actor Robert De Niro from the movie “Goodfellas” after he made a comment about President Donald Trump at the Tony Awards. After going upstairs and outside to what appears to be a porch, DeVito opens one of his garbage cans and tosses the framed poster inside. The destruction continues when he takes the poster out of the smashed frame and rips it into multiple pieces. “Another Trump hater down,” he concludes as he puts the lid back onto the trash can. I use to like RD, but now after his potty mouth comments he has lost me as a fan, you don’t have to be vulgar to make a point! We already have freedom of speech, but being vulgar isn’t going to change my mind it will make me oppose you more!